Firstly let’s understand what is Plyboard? Plyboard is a wood based panel, made of a core of softwood stripes that are glued together. These stripes are usually 28 mm wide placed edge to edge that is sandwiched between two veneers of either softwood or hardwood glued under high pressure. Actually Plyboard isa local term given to Blockboard. 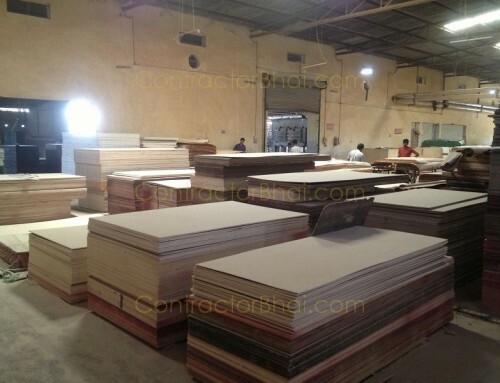 Blockboard is used to denote plywood mainly in industries and factories. Blockboards or Plyboards are popularly used for furniture that cover large areas like table, doors, wardrobe shutters, shelves, for paneling as partitions, etc. Apart from these, plyboards have a very good screw holding ability and has good resistance to warping. Plyboard is most frequently used for overhead shutters which is 1 inch or 25 mm thick. Plyboard panels consist of 3 layers where one is veneer sheet that is covering both the sides of plyboard that sandwiches wood stripes in between. Plyboards are sometimes produced in 5 layers where two veneer sheets on each sides are used for better stability and one veneer sheet is sandwiched between the stripes of wood which is inturn sandwiches between veneer stripes. Plyboards are available in varied sizes ad thickness too. The thickness of plyboard ranges from 13mm to 60 mm. 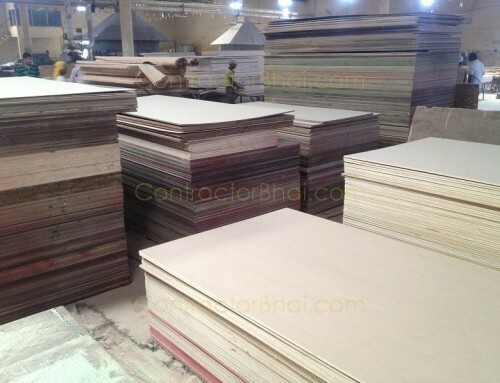 Plyboard or blockboard cab also be bought in different finishes like wood veneer finish, melamine finish, etc. as decorative finish surface. 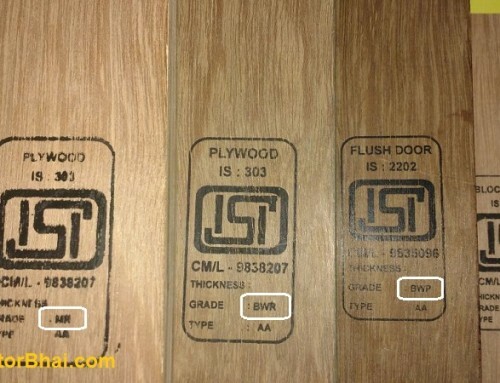 Just like blockboard, there are several other terms relating plywood not known by all home owners. For example Plyboard or blockboard is often confused with term plywood and vice versa. Let me clear this misconception for all those home owners. Plywood and Plyboard are two different terms. i.	Plywood is made up of several veneers glued together and hot pressed to make a ply. 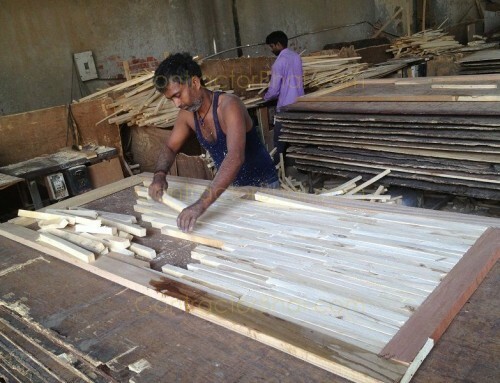 These veneer sheets that re used to manufacture plywood are obtained from selected tree species. Whereas Plyboard or blockboard has a timber frame filled with solid wood batons. ii. Bloackboards or Plyboards are often therefore light in weight as compared to plywood. iii. 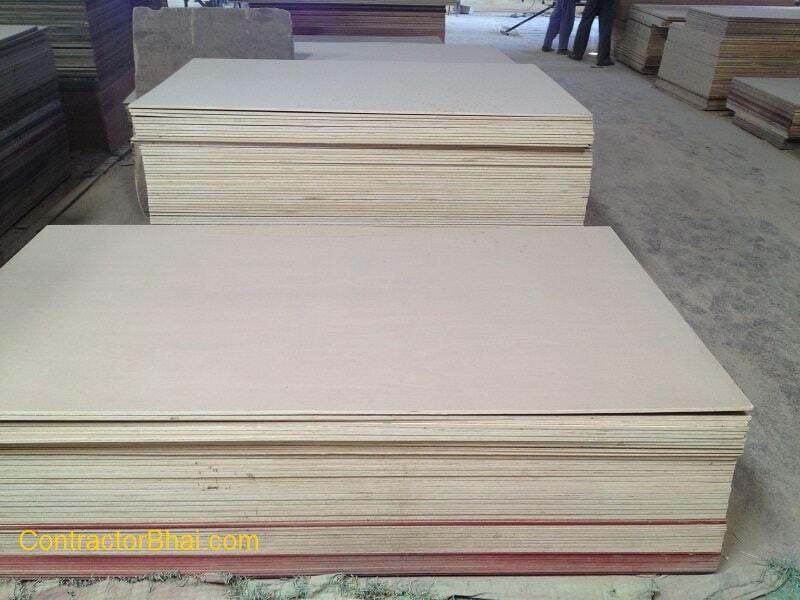 Also plywood is of superior material as compared to blockboard. .
iv. Externally both appear to be similar. One can look for the board edge to differentiate betweenthe two. Plywood board edge will show layers of sheets glued to make plywood. While plyboard edge will have a solid wood appearance. Plywood is often used to make furniture’s but it has a tendency to sag or bend if used to cover huge areas. Plyboards are ideal for such areas. 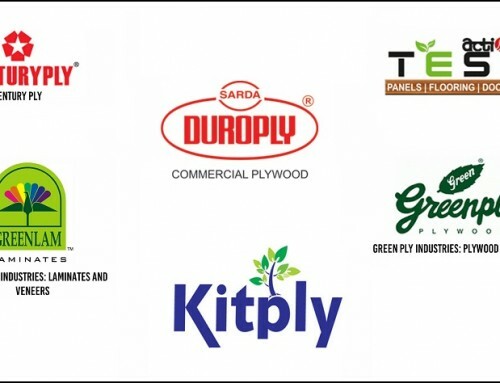 Plyboard is often preferred over plywood for areas where longer pieces of wood is required to make furniture like long tables, benches, panels, partitions, etc.